You have no doubt that you are a quality candidate for the desired position. So, how do you convey this? Having a clean, polished and professional resume is the first step. Your resume is an in-depth introduction of yourself to your prospective employer. This document illustrates your expertise, your abilities and the background that matters to your desired position. If you handle the presentation of your resume correctly you will create an image of dependability, attention to detail and quality that cannot be expressed as effectively through interview answers. Avoid words that are not in your usual vocabulary or that you have not used before. You are much more likely to misspell unfamiliar words, particularly when attempting to conjugate them. Have a dictionary close at hand when writing your resume to check your spelling and the meaning of words that you’re using. 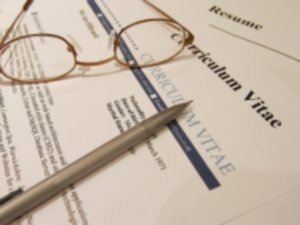 Run your completed resume through the spell check of your computer to catch typographical errors and misspellings. Make sure that you punctuated the end of each sentence, and be consistent in how you use your punctuation. Remain consistent with the tenses throughout your resume. For example, when describing your current activities, use present tense, but when describing those you did in a past career, use past tense. Capitalize all proper nouns. Run an internet search if you are unsure whether certain words are capitalized. If you need to discuss a number, spell out numbers one through nine, but use the numeral for all numbers 10 and above. Regardless of the number, if you are using it at the beginning of a sentence or phrase, that number should be spelled out. Check that you are consistent with how you express dates within your resume. Choose to either write out the date using the actual name of the month, use periods or slashes. Choose every word that you include in your resume very carefully. Check that you are using words properly, particularly in situations of easily confused words or words that are commonly used in casual application of the language but are not actual words (such as alright). Just like a speech, reading your resume aloud can help with wording as you listen to how the resume reads. Permit plenty of open white space on your resume. Limit your resume to one or two pages depending on experience. Avoid emphasizing characteristics such as underlining and italics. Choose a font that is clear and easy to read. What tips have you discovered when proofreading your resume? Share your techniques and suggestions below!